Researchers at Carnegie Mellon University are claiming that it is possible to predict the results of major-league football games using Twitter. It is the latest research in the field of Twitter modelling and relies purely upon statistics. A team of researchers have developed a way of predicting football results using Twitter which is more accurate than traditional techniques. 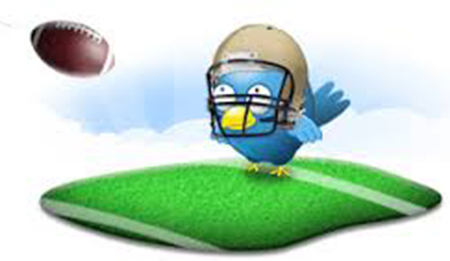 The researchers looked at several million tweets about football from the 2010, 2011 and 2012 seasons. They then analysed them and catalogued them by team before putting the data through a number of statistical models. They found a number of models which either matched or performed better than traditional betting forecasts. Conventional prediction methods are correct around 58% of the time, however, by combining these with Twitter based models the researchers were able to predict game winners with 65.9% accuracy. The models were also able to more accurately predict other sports-betting metrics such as the combined number of points scored.